There are a ton of great affiliate networks out there, and today we’re going to focus on one of my favorites: ShareaSale. This is a FREE affiliate network that contains over 4,500 different programs for bloggers in every niche. In this article, I’m giving you the top 5 reasons why I use and love ShareaSale for affiliate marketing. Speaking of affiliate marketing, this article probably contains affiliate links. If you click one of these links and make a purchase, I will make a small commission, at no extra cost to you. Before we get into the “meat and potatoes” of ShareaSale features and programs, let’s do a quick introduction to affiliate marketing, just in case you’re new around here. Affiliate marketing is essentially sharing products and services from a business that you are associated with. That business provides a special trackable link for you to share with your audience. When someone follows that link and performs a specific desired action, you get rewarded. As an example, perhaps that “desired action” is purchasing a product or joining a membership program. When someone buys that product or joins that program, you earn a commission. The company you are associated with determines what the desired action is, and how much you will be paid if your audience performs that action. Most of the time, you’re getting paid a monetary commission for promoting and selling products and services or driving leads to a website or business. How can you get access to that fancy trackable affiliate link that helps you earn money? There are two ways: you can join an affiliate network that contains a huge pool of programs you can promote, or you can join individual affiliate programs that don’t use any third-party platforms to host their program. You can and should apply to both! ShareaSale is an example of an affiliate network. Amazon Associates is an example of an individual affiliate program. ShareaSale is an affiliate network that allows you to engage in affiliate marketing with hundreds of different companies. This network acts as the bridge between you and the companies you will be recommending to your audience. I love affiliate networks because they make everything so easy: you can access a ton of programs in one place, apply to those programs, find out how much they pay, get your affiliate links, and get paid…all right there in your affiliate dashboard. ShareaSale serves two audiences: merchants and affiliates. You and I are the affiliates that recommend products and services that we use and love. Merchants are the business owners that pay commissions to the affiliates who recommend their stuff. When you apply to join ShareaSale, you’ll be applying as an affiliate. You can join ShareaSale here (it’s FREE)! And here are five reasons that I love and use this network in so many of my affiliate marketing efforts. Like I said in the intro, there are over 4,500 affiliate programs in this network at the time of publishing this article…and new programs are being added all the time! Accessories – jewelry, cosmetics, shoes. Business – office, marketing, productivity. Classifieds – ecommerce solutions, ads, B2B. Art – music, photography, supplies. Automotive – cars, trucks, rentals, supplies. Computers – hardware, software, electronics. Clothing – men, women, children. These are the main categories, but you can often find a great affiliate program in any blogging niche, even if you don’t see it listed here. I even have a blog series that contains the highest paying affiliate programs in nearly every blogging niche. Here are a few of those articles for you to review! If you’re just getting started with affiliate marketing, I highly recommend joining ShareaSale and applying to some of their programs in your niche. To make money from affiliate marketing, you need to be promoting products and services that your readers are interested in and actively searching for. Paying attention to upcoming holidays and events can make it easier to create content that your audience will enjoy. This is one of the many things I love about ShareaSale. In your affiliate dashboard, you will find a long list of upcoming holidays and events. This allows you to plan ahead and create the kind of content your readers will be interested in and actively searching for at different times of the year. The ShareaSale dashboard is super user-friendly. As soon as you login, you’ll see a snapshot of your commissions, new affiliate programs you can join, and recent activity for the programs you are already in. On the homepage of your dashboard, you’ll also see the date that your next payment will be sent out. The ShareaSale network updates their blog at least once each week, giving you access to helpful marketing tools, tips, and announcements. They are very “hands on” in their approach and efforts to help you earn affiliate income from your blog. And their content is usually focused on what’s going on in the world of online marketing RIGHT NOW. So, if we’re in quarter four, they are writing blog content that will help you prepare for the new year. If we’re coming into the summer season, they’re helping you prepare affiliate content that will be relatable to your audience at that time. 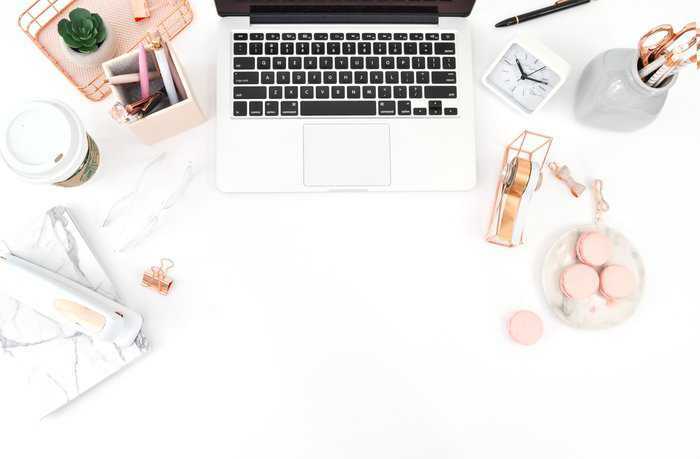 In addition to their weekly blog posts, they also have a RESOURCES section to help you make the most of trending topics, find merchants for each season, and navigate your ShareaSale dashboard. Simply put, I love ShareaSale because they don’t leave you to your own devices when it comes to affiliate marketing. They provide so much support to help you succeed! The ShareaSale network has some of the most popular and highest-paying programs out there. Most of the time, you’ll be earning between 3-30% commission per sale. But some programs pay up to 300% per sale. 3D Cart Shopping Cart Software // 300% commission per sale, $2 per lead. Note: although this company has a high commission percentage, your actual earnings are still pretty low in comparison to other programs. So, keep this in mind. These are just a few of the high-commission / high-paying affiliate programs available within this network. There are many, many more, in various blogging niches across the board. As a quick recap, affiliate marketing is simply the act of promoting products and services for a business that you are associated with. That business is the MERCHANT. You are the AFFILIATE. You’ll promote their stuff to your readers, and when someone clicks on your affiliate link and makes a purchase, you earn a commission. You can get access to your affiliate links by joining affiliate networks and affiliate programs. ShareaSale is an affiliate network and it contains a pool of over 4,500 affiliate programs you can join. Only join affiliate programs that will provide genuine VALUE and BENEFIT to your specific audience. You should never promote things just because they pay high commissions. And you should never promote things that have nothing to do with your niche market. This will only cause you to lose the trust of your readers, and consequently, lose potential buyers. Focus on programs that you can wholeheartedly recommend to your audience, knowing that they can truly benefit from your recommendations. If you haven’t done so yet, you can JOIN SHAREASALE HERE. The beauty of affiliate marketing is that you can earn passive income long after you hit publish on your article. And that’s what I’m all about! Maximizing income and efficiency, while keeping a balanced home and enjoying the sweeter things in life with my family and friends. I hope this article was helpful for you! If you enjoyed this article, please take a moment to share on Pinterest!